Paul Godin (780) 706-6429. I am a residential Mobile Mortgage Specialist,serving Whitecourt, Drayton Valley, Edson, Weslock and Slave Lake. 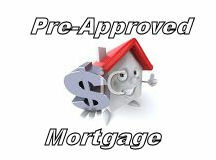 My role as a mortgage professional is to expertly guide you through the mortgage process. Collaborating with other industry professionals; Professionals, builders, lawyers and notaries provides my customers with extensive home financing knowledge in a constantly-changing market. I can help you identify the home financing option that best suits your lifestyle and long-term financing goals. I offer competitive rates and a wide range of mortgage products to suit your needs. When you need answers, I respond to your calls and emails promptly. Keeping you well-informed is my goal while my mission is to provide your financing as quickly and expertly all the while remaining as comfortable as possible. WHAT IS YOUR MORTGAGE MINDSET? 3. SEEKER; you are ready to buy, renovate or renew. You have an end date in mind and you want financial questions answered promptly and expertly. You need to understand the steps. YOU NEED A MORTGAGE APPLICATION KIT.